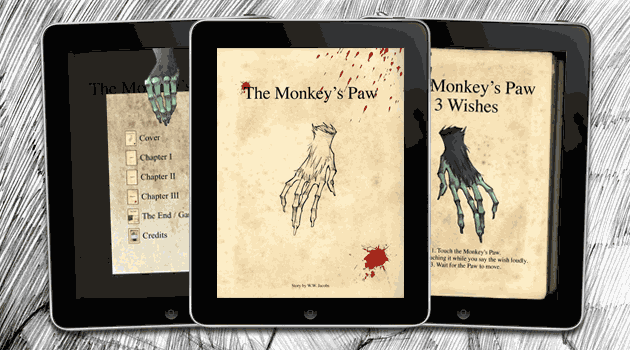 It’s a while we are developing an interactive book application framework for iPad and the first book in these series is now right on App Store. Monkey’s Paw is a horror short story by W.W.Jacobs which was published in 1902. You can watch a demo video here. The app was created in a true global collaboration between minimoko, Beware of the Art and Turned On Digital. Don’t hold us responsible if you get what you wish for. This entry was posted in Believe Me and tagged Apple, Group Projects, iPad, Turned on. Bookmark the permalink.